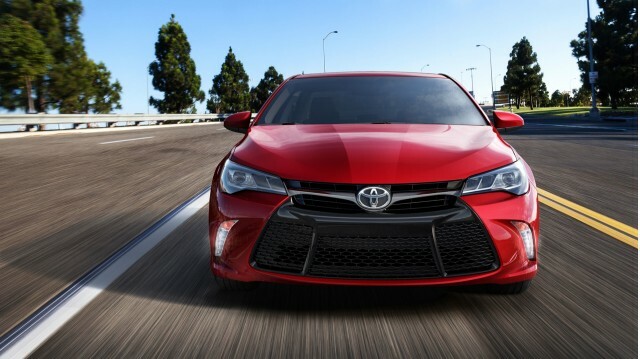 Toyota has announced pricing and specification details for the 2015 Toyota Camry and Toyota Camry Hybrid. Available in LE, SE and XLE grades, the 2015 Camry Hybrid starts at $26,790--$3,820 more than an equivalent 2015 Camry LE with the standard 2.5-liter four-cylinder. A Camry Hybrid in SE trim is $27,995, and XLE models start at $29,980. You can add $825 for all of those prices for delivery, processing and handling. 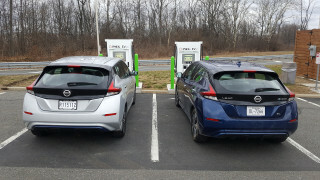 Toyota hasn't confirmed economy for the refreshed 2015 hybrid, but economy for the regular 2.5 remains the same as it did in the 2014 model, at 28 mpg combined (25 mpg city, 35 mpg highway). We'd expect the Hybrid to continue with its existing figures too--41 mpg combined, with city mileage of 43 mpg and 39 mpg on the highway. What buyers do get is more equipment. An 8-way power driver’s seat including power lumbar is now standard from the LE grade upwards, as is a 4.2-inch TFT multi-information display. Upgrade one step to SE trim and Sport-styled front seats join the equipment tally, along with a leather-trimmed tilt and telescopic three-spoke steering wheel, Bluetooth hands-free phone and audio controls, and silver interior trim. Jump another grade to XLE and your near-30 grand gets you leather heated seats, 4-way electric adjustment for your passenger's pew, LED daytime running lights, tire pressure monitoring and 17-inch alloy wheels with a "super chrome" finish. Toyota has piled on the safety gear too, with standard traction control, stability control, ABS and brake assist. Tick even more options boxes and that can expand to several more safety acronyms--Pre-Collision System, Adaptive Cruise Control, Lane Departure Alert,Auto High Beam, and Blind Spot Monitor with Rear Cross Traffic Alert. In terms of styling, well, it's still a Camry. 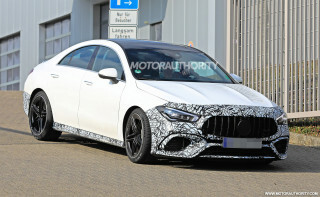 But it carries a more dynamic look than last year, with a deep front grille not dissimilar to that found on various Lexus models, slimmer rear lights, different alloy wheel designs and a few more curves here and there. The 2015 Toyota Camry and Hybrid go on sale in late September.